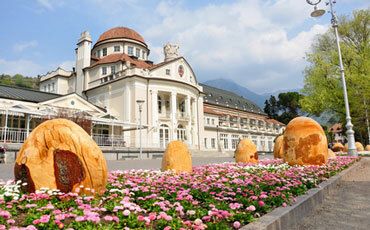 Discover Merano and its sourroundings! 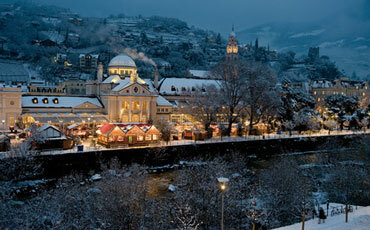 Merano has a long-standing tradition of being a famous health city known for its thermal baths and its tourism. Many celebrities and the Central European nobility used to stay in Merano on holidays thanks to its fresh air and its Mediterranean and mild climate, given our ideal location amidst the Italian mountains. Indeed, Merano is now for its mild and stable climate: the nature awakes in February offering spectacular sights of colored vegetation, the summers are warm and dry, the autumn offers wonderful views thanks to the variety of grape vines and chestnut trees, while the winter bring snow on the surrounding mountain tops and, from time to time, also in the city. The surroundings of Merano could not be more diverse and spectacular, offering breathtaking views in every period of the year. 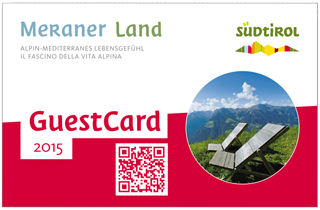 Thanks to the advantage card of the “Meraner Land”, holders can benefit from exclusive discounts at museums, cableways, sport and other activities in Merano and its surroundings. 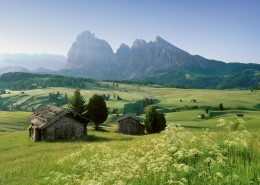 It also gives you the perfect opportunity to explore the multitude of small towns and villages around Merano. 5 selected benefits are only accessible with the GuestCard. You will receive the GuestCard for free at your arrival and it will be valid over the entirety of your stay. 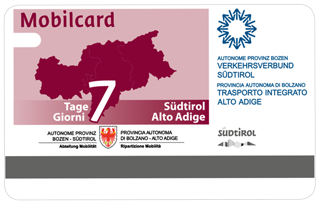 Thanks to the MobilCard you will be able to travel across South Tyrol for the selected period free of charge on all means of public transport. 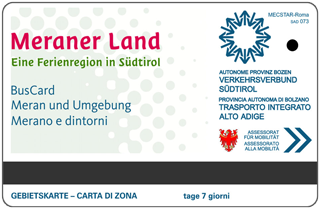 With the MobilCard you can make use of the entire South Tyrolean public transport system. Mobility across the entire Merano and Environs. When you buy the bus card you will be able to benefit 7 days of free travel on all public transport in Merano and its adjacent towns and villages (Schenna, Meran, Hafling, Vöran, Jenesien, Dorf Tirol, Passeiertal, Lana, Ultental, Völlan, Marling, Algund, Partschins, Naturns and Schnalstal). 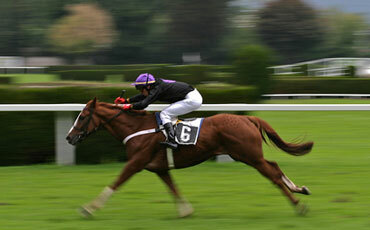 You will be able to purchase the card at our reception for a cost of € 16.00 (for adults and children above 6 years). A bus stop is just around the corner of our hotel. 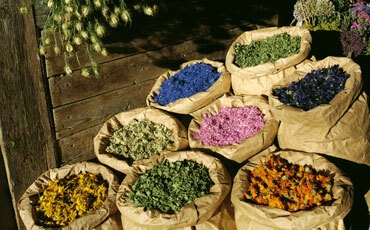 There are over 80 gardens located around the castle which showcase plants and flowers from all across the world. 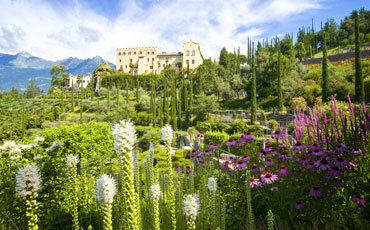 The gardens are indeed a unique combination of botanical gardens and activities: adventure parks, thematic gardens, areas for artists and performers and breathtaking fauna make the gardens of Trauttmansdorff a unique experience. 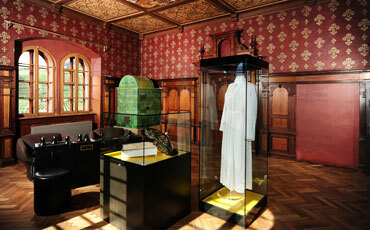 The Touriseum, the official museum for tourism, will allow you to witness 200 years of history in Tyrol and Merano. Designed by the star architect Matteo Thun, the glass cube containing the thermal baths dominates and shapes the promenades of Merano. 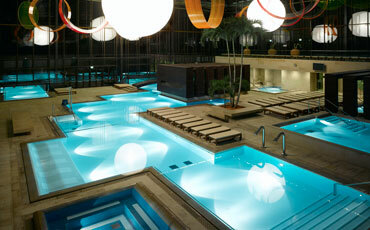 Various indoor and outdoor swimming pools, a large area containing multiple types of sauna and a park that spans over 50,000 square meters create the world-famous wellness adventure and luxury spot. Characterized by abundant flora, the promenades on both sides of the river Passer go right across the middle of the city of Merano. The so called summer promenade connects the two most important bridges of Merano, while the winter promenade leads into the stunning old part of the city. 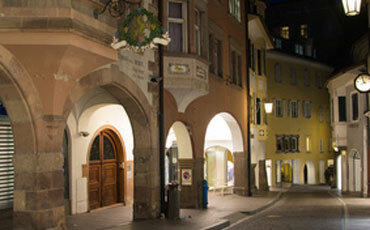 Take a stroll through the old part of Merano and will find numerous museums, expositions and galleries. The famous “Lauben” offer the perfect spot for your shopping of international brands and local products or simply enjoy a Cappuccino in one of the many Café’s of the center. jeden Samstag Vormittag, 8.00-12.00 Uhr – Galileistr. jeden Mittwoch Vormittag, 8.00-12.00 Uhr – Meinhardstr. Advent season is a very particular time of the year in Merano: snow on the mountain tops, low temperatures and alluring smell of our traditional hot drinks and fresh pastries are the clear signs that winter season has returned to Merano. During the Christmas period the world famous Christmas fair “Meraner Weihnacht” attracts visitors from all across the world. From the end of November to the beginning of January of each year the esplanades are filled with traditional Christmas stands offering all the typical products that our wonderful area offers.